Are you looking for a healthy snack to add to your game-day spread? Smoky Cauliflower Popcorn needs to be on your menu. Hummus, guacamole and salsa all are great options for snacking. Popcorn, even chocolate-covered popcorn, adds whole-grain crunch to your buffet. 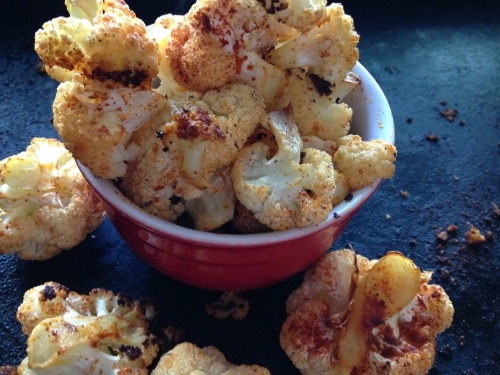 One of my new favorites are these smoky, roasted cauliflower bites. The trick is to cut or break your cauliflower into little bits, toss them in a flavor-filled spice mix, and cook them up until they are still tender, but have a bit of crunch. Spread olive oil on paper. In a small bowl, combine seasonings. Stir to evenly coat cauliflower with oil and spices. Bake 30 to 35 minutes, stirring halfway through. 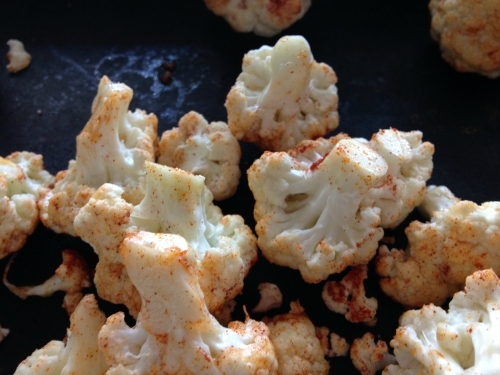 Cauliflower is done when it is dark brown in spots, but not burned. I shared this with Gluten-free Fridays and Showcase Your Talent Thursday! I like caulifolwer popcorn. Its taste very yummy !